The Hampton Inn & Suites by Hilton Brantford offers an elegant venue and exceptional service for all your wedding needs to ensure your wedding day is perfect and memorable. Whether you need an intimate location to host your engagement party, bridal shower, or an elegant banquet space for your ceremony and reception, you’ll find everything you need at the Hampton Inn & Suites Brantford. And that’s all aside from the convenience of having guest rooms and suites available for the wedding party, overnight guests, and the newlyweds. From intimate gatherings to large celebrations, the team at the Hampton Inn understands how important your wedding day is. That’s why they are committed to providing incredible service, exceptional cuisine and special attention to every detail to help ensure your perfect wedding. Located conveniently off Highway 403, Brantford’s newest hotel includes 84 guest rooms and suites for the wedding party, overnight guests, and the newlyweds. “We want to ensure all overnight wedding guests are well looked after. We offer a free hot breakfast buffet as well as free Wi-Fi, indoor saltwater swimming pool, fitness facilities and business centre to keep everyone happy and comfortable,” says Amber Kane, Sales Manager at Hampton Inn & Suites Brantford. Amber also mentions, “Our hotel has earned #1 hotel in Brantford on Expedia, Booking.com, and TripAdvisor for consistently delivering superior service and providing exceptional guest experiences. We are also proud to have received the 2017 TripAdvisor Certificate of Excellence Award for the sixth consecutive year. ” This achievement celebrates hospitality business that have earned outstanding traveller reviews on TripAdvisor, the world’s largest travel site. In business since 2009, the Hampton Inn & Suites by Hilton Brantford has hosted over 75 wedding ceremonies and receptions in Brantford. Offering flexible packages and a la carte options that are customizable to all tastes and budgets. 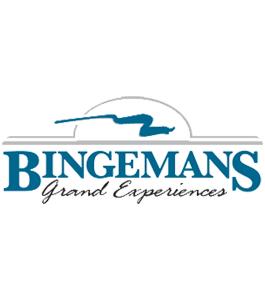 Some packages even include the couple’s accommodations, décor, audio visual equipment, bar service and delicious menu choices. The all inclusive wedding packages are designed to create stress free planning process for the Bride and Groom, and offer many details and options that are all coordinated by the hotel so that they can enjoy the process each and every step of the way. The Hampton Inn also offers a complimentary romance package for the happy couple on the night of their wedding including an luxurious Jacuzzi Suite and a free hot and hearty breakfast buffet when booking one of the all inclusive wedding reception package. • Free high speed WIFI. Whether receiving congratulatory emails and well wishes, sharing updates to friends and family who can’t attend or posting wedding pictures to social media sites, you’ll be able to stay connected throughout the day. • Before you take the plunge, take a relaxing dip in the indoor salt water swimming pool and hot tub or burn off some extra energy at the fitness center. • For any last minute wedding requirements, the Hampton offers business services including fax and photocopying equipment. • Need another cup of coffee to get you through the day? Premium fresh coffee and tea are available 24 hours a day in the lobby. • Conveniently located with easy access off Highway 403 in Brantford, the Hampton Inn & Suites is situated perfectly for your out of town wedding guests. As a one-stop shop, the Hampton Inn offers everything you need to make your wedding day perfect in one location. Kayla personally meets with every couple and is there during the entire planning process and on the day of the wedding. “We have a great team of staff who are all experienced with weddings and provide support to ensure all the details of your special day are right,” says Kayla. For couples looking to get a hold of Kayla to book an appointment, she encourages them to send her an email or give her a call to arrange a time to meet. For newly engaged couples, it’s never too soon to start planning. The initial meeting is an opportunity to tour the inn, select the wedding packages and answer any questions the couple may have. A one on one meeting with the decorator at the hotel or her showroom to discuss décor options including colour and style is also scheduled. Free taste testing is also arranged. During the entire planning process, emails are sent back and forth between Kayla and the couples to ensure everything is going according to plan. As with any industry, trends have a huge influence on weddings and what brides request. 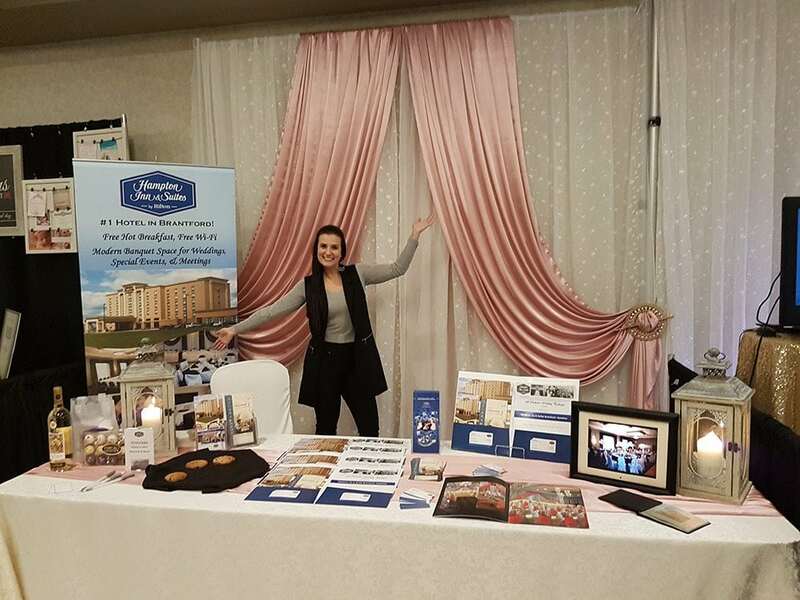 Kayla is keen to personalize weddings for each and every couple that comes to the Hampton Inn & Suites for their wedding. Although she has noticed a trend towards chapel ceremonies, she’s also seen a lot of brides looking to have their ceremony and reception in the same location. • Elegant 2,300 sq. ft. Grand Hampton Ballroom available for wedding receptions. • All inclusive package range from $75 to $100 per person ( + SVC fee + HST fee). Packages include hall rental, elegant white table linens, glassware and cutlery, hotel centerpieces, choice of buffet or plated dinner service, wine with dinner, fully stocked bar options, décor, audio visual equipment and the wedding couple’s accommodations in the honeymoon jacuzzi suite. • Ceremony plus cocktail reception is an extra $650 + SVC fee + HST fee, when booking a Hampton wedding reception. • Cash bar, host bar, and open bar options are all available. • Discounted accommodations are available for wedding guests at the Hampton Inn & Suites by Hilton Brantford. • The Hampton Inn can accommodate up to 130 guests for wedding ceremonies and receptions. • When booking, an agreement is signed and a $500 non-refundable deposit is required. Kayla Martins at Hampton Inn and Suites by Hilton Brantford can be reached by email using the form below 🙂 You can also visit Hampton Inn and Suites by Hilton Brantford online at www.hamptoninnbrantford.com or call the hotel at 519-720-2771.